Thank you for your interest in our Newsletter and free Social Media guides. We think you will find them useful and will provide actionable steps you can take to start or improve your social media strategy. 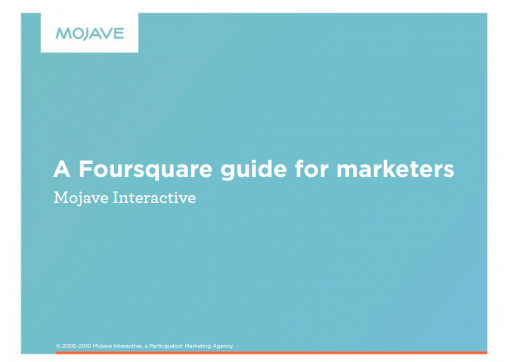 To get instant access to both the Twitter Guide for Marketers and the Foursquare for Marketers guide, all you need to do is subscribe to our newsletter below. But dont worry! We won't spam you or sell your information - In fact, we hope your enjoy our periodic newsletter with even more insight on social media and participation marketing. Plus, you can unsubscribe any time. Just fill out the info below and well send you a link to download the guides instantly.